Of all the authors, I have known Elmien Grove by far the longest. She and I met one fateful day just before we turned ten. We spent a heck of a lot of time together. We would ignore each other for hours on end reading books side by side. We wrote shameless fan fiction stories throughout high school…for each other…about our favourite musicians… Hahaha… Ahem! She has always had a gift for writing. Her style is approachable and speaks directly to the reader. Where I like writing high fantasy because of the vaulted language and flowery words, she writes in a way that has you through the story before you even realised that you have started reading. The biggest lesson I learned while contributing to this anthology was that writing a story is only a small part of what you need done in order to have a polished end result to publish. The beta readers, the editors and the marketeers have blown my mind with their expertise and sharp sense of what is currently on point and in demand. It has been a huge learning opportunity for me. Currently I am focusing on writing the invitations for my wedding, autobiographical pieces about both my fiancee and myself for the wedding website, my blog and the story I aim on entering for the next edition of this anthology. 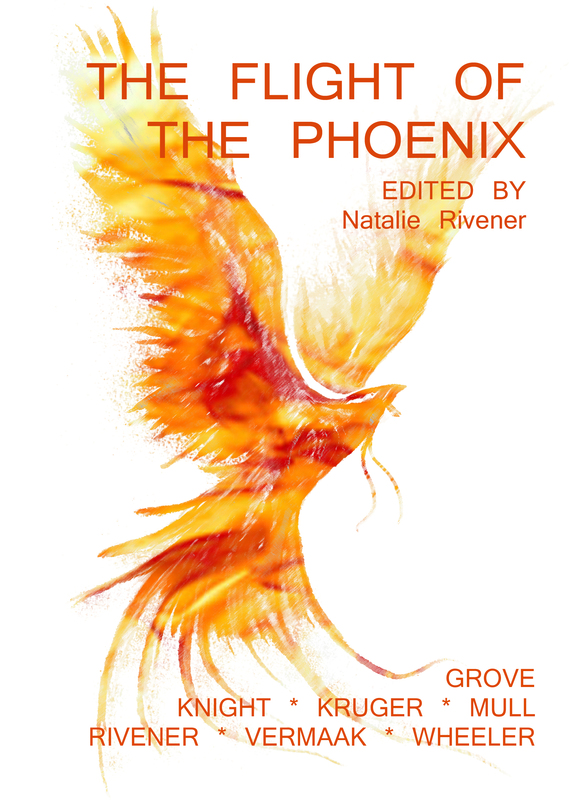 With all the tools I’ve been given by the other writers and editors during the process of compiling The Flight of the Phoenix anthology, I have high hopes that this one will need slightly less tweaking. If an aspiring author asked me for advice on writing a novel, I would probably say: “I have no idea, but when you find out, please let me know”. On writing in general, I would suggest getting into a routine, in order to minimize the emotional component and fear of running into a bout of writer’s block. Even if you sit down for only half an hour everyday and just start typing, eventually it should flow more naturally and your confidence will improve over time. Spend less time trying to come up with ideas and more time rambling right onto the paper. You might be surprised at what emerges. This entry was posted in About writing and tagged anthology, author, Elmien Grove, interview, short story, The Flight of the Phoenix.